At LALO Tactical, we honor those who choose a path of purpose, a path of hard work, grit and determination.Our company was founded to serve the needs of Special Operations Forces and NSW Operators. Our award-winning designers and developers have been creating innovative footwear for some of the world's most popular brands for over 30 years.We use top tier materials to create some of the best and hardest working tactical boots and athletic footwear for those that rise to the toughest occasions.Our MantraWe believe that a professional athlete and a SpecOps member have much in common, both extraordinary individuals who never ring the bell.Companies have been collaborating with professional athletes for years in an effort to make specialized performance footwear. 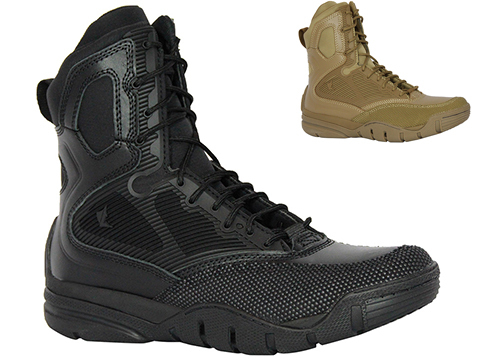 At LALO, we not only listen carefully to our professional athletes, we listen to our Operators on the front lines.Our ProductsThe LALO Shadow, our ultimate Special Forces tactical boot, features a unique patent including a drainage system, a composite forefoot plate, a fast-dry component and the lightest weight materials on the market.The LALO Tactical Athletic line is a direct result of briefings we received from our Special Operations Forces. The need was to build a lightweight, packable, breathable shoe they could cross train and run in - a shoe they could count on, whether training or deployed. Our tactical athletic designs put an emphasis on noise reduction, support and game day performance; gear that hits the mark time after time.LALO was created for the best of the best but why shouldn't every day athletes, busy parents and weekend warriors also benefit? 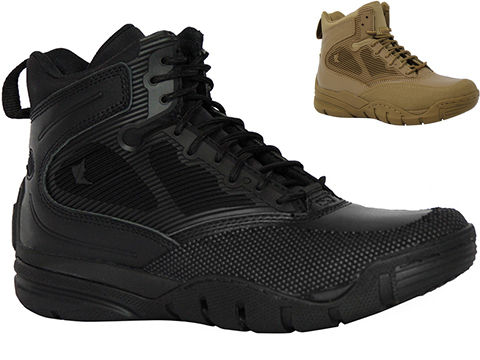 Every pair of shoes we create is for the end user who refuses to settle for the status quo.Whether your path leads you to a career in the military, competing in an adventure race, cross training, tackling an urban athletic workout, or running a 5K, we've got the shoe for you.What path will you choose?